Dr. Hall joined Sundial to talk about his research and the correlation between climate change and hurricanes. 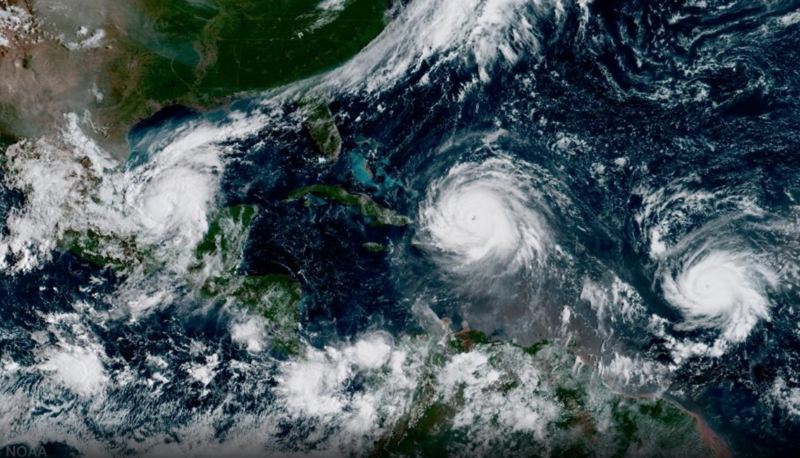 WLRN: What evidence do we have that change in climate is leading to hurricanes getting worse? Dr. Tim Hall: I like to order the relationship between hurricanes and climate in terms of what we know with the most degree of certainty. And one of the things that's related to hurricane hazards is sea-level rise. I mean simply, warmer sea water takes up more volume. So water rises as the oceans warm. And even if hurricanes weren't changing in intensity, the same winds blowing over a higher baseline will just push water deeper into land and getting worse flooding events. So warm water is part of the fuel? Do we see hurricanes getting bigger? Rain events and warmer air holds more water in the vapor form and so when the conditions are right, as they are in a mature hurricane, that water's available to rain. You really get in a situation where we're some places are getting wetter and some places are getting drier. But everywhere when it rains, less frequent but more intense events -- that's actually worse for flooding. It doesn't give the land time to absorb the rainfall and it just runs off. And that goes back to looking at the wind speed, the flooding and all of these other aspects of what a storm is. So there's several aspects that go into the hazard of a hurricane. One is the direct wind and that's a hazard by blowing down structures. Another, there’s the flooding which can be driven either by the surge which is the mountain of water or the wind pushing over the ocean drives towards the coastline. And then of course the rainfall. Most of those things contribute to flooding. All three of those things are increasing. The surge hazard is increasing because sea-level rise. Primarily the rain hazard is increasing because there's moister and warmer air. So there's more moisture available for rainfall and the wind hazard is increasing because warmer seas are essentially the fuel for hurricanes. Basically warmer seawater is the fuel for hurricanes and that drives stronger hurricanes as the oceans warm.